Discover the evolution of apartment living throughout the years with our custom infographic on apartments for rent throughout time! We eat, breathe and live apartments and wanted to compile and share an easy-to-follow graphic describing our business through history and provide a few interesting facts and Top 10 lists. This detailed infographic explains what cities have the cheapest rent and showcases the cities that offer tenant councils, foreclosure protection, and rent control. Chicago apartments for rent ranked #1 for the most affordable in comparison to other cities like Phoenix and Detroit. 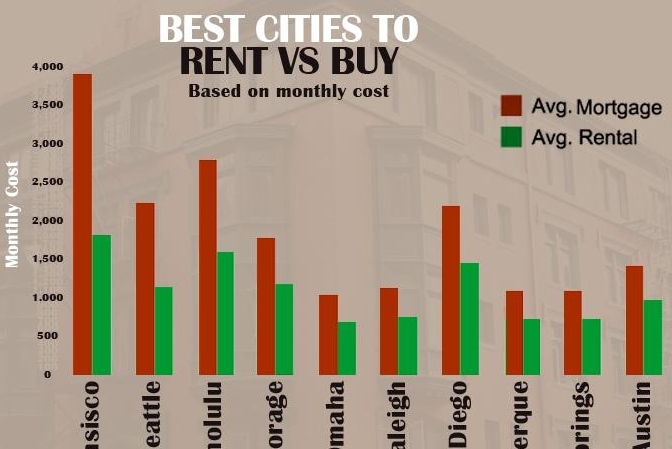 It also shows some of the cities with the steepest rent hikes since 2009 such as apartments for rent in Denver, CO which saw a 7.4% rent increase. Greenville, South Carolina had the biggest hike with 11.2%. Use our infographic as an apartment finder guide for your next home!